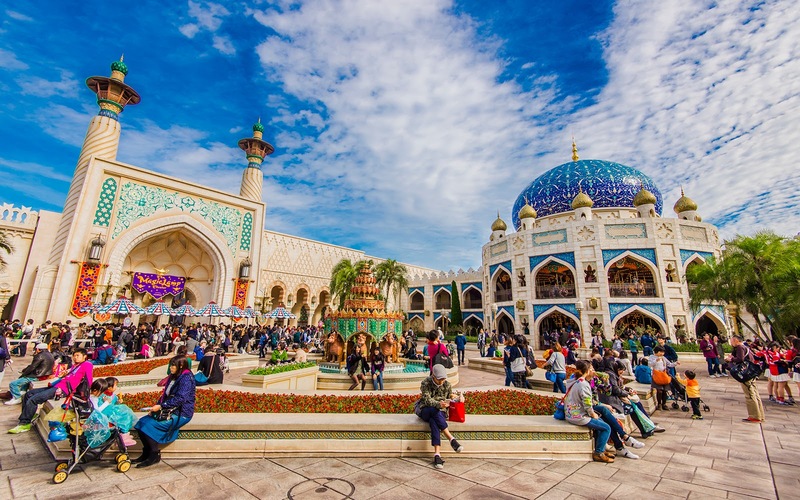 I just wanted to post another view of the lovely main courtyard in Arabian Coast. It's a lively area and functions the way a big plaza would function in a real city. A theater on one side, a carousel on another, with passageways to other parts of the land that bring guests to and fro, it's a beautiful space that offers spatial relief after guests go through the narrow more winding streets. Even just looking at the photo, I can remember the vibrant energy pulsating through this public space. It's just so very nice! Another view of the main courtyard in the Arabian Coast port of Tokyo Disney Sea.